Our childhood influences us a great deal and as adults we tend to do the same things our parents did. Most homes continue the trend of cooking certain foods cooked by the ‘mothers' in their family home. As a young girl, I have often heard my parents talk about God Kataragama. They would say “with the blessings of God Kataragama” – or “give merit to God Kataragama."  I used to hear my parents say that, God Kataragama had six faces and 12 arms and that he travelled on a peacock. This I had to see. I began going to Kataragama Devale on Kotugodella Street, Kandy at 15 years of age – when I was in grade 10. Every morning on the way to school, I never missed going into the devale. I would look at his statue or paintings and I would count his hands and faces. True he had 12 hands and six faces and sat on a peacock. This went on till I left school. The kapumahattayas in the devale knew me quite well. It did not take long for them to realise that as a school girl I did not have money to buy any offerings such as fruit or an oil lamp. Yet they blessed me every day. They were very nice to me, sometimes offering me a fruit or two which the devale had received in the ‘offerings.' However it was not the fruits that drew me to the devale but the deep reverence I learned at home. At first I did not know what I would say to God Kataragama. I did not know any gathas to recite. I simply told him of anything that was worrying me or bothering me at that time. To help me to pass an exam, to ask his blessings to keep certain friendships going, certain material things I would like to have but was in the process of trying to get…. Little things like that which of course were major problems for a young girl. As time passed, I left school and was employed and doing higher studies as well. I found that I couldn't visit the devale everyday. But whenever I found the time – it was not shopping or visiting friends that I did – I was at the Kataragama Devale like a prayer. As an adult I wanted to know more about God Kataragama. I was surrounded by friends and family who had a unshakable faith in God Kataragama. But for me, faith did not seem to be enough. So, I started to read books and listen to stories told by friends. One day a friend of mine told me a fascinating story. He had known a family who went to Kataragama very often. They were strong devotees of God Kataragama. Once, as they always did, they were walking around Kirivehera Dagaba, when one family member saw an old man, much like a beggar or recluse. He was kneeling and praying. She overheard him saying "May the merits be showered on all gods including me." She immediately told the other members of the family and they came to have a look at this man only to find that he had vanished and that he was nowhere to be seen. Another incident I have heard is of a retired judge who had converted to Buddhism. 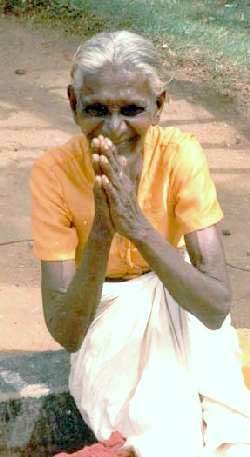 On many occasions he would be seen at Kataragama all alone praying at every dagaba. At Kirivehera he would keep walking around the dagaba reciting his gatha then he would kneel in front of the dagaba and keep his forehead on it and pray for a considerable time. One evening as dusk was approaching, he had returned to his car and had discovered that his keys were missing. It was getting dark and he had been concerned. However, he had decided to go back and look for his keys. As he was about to cross the bridge over the Menik Ganga an old recluse had approached him and had held out his keys. He looked down and took the keys from the man's hand. But when he looked up the man had vanished. He searched all over but the man has simply disappeared. The driver did so and he saw an old man sitting inside a small hut. When the driver explained the problem the man had offered him a few nuts and bolts. And followed the driver to the car and had then fixed the car. When the ladies wanted to thank this senior citizen and give him something for his efforts, he was nowhere to be seen. These are questions often asked. I must confess I have read and done very little research on this. But I know through the ages, through experiences and the stories that I have heard – that God Kataragama helps. Some of the stories have been distorted, changed and told in difference ways. Buddhists address him as God Kataragama, while Hindus call him by the name Skanda or Murugan. It is said that he has many other names as well. A "Pada Yathra" (foot pilgrimage) originates from Jaffna every year during the months of May, June and July. This is an important event among devotees, who plod to Kataragama during this time. The Pada Yathra begins from Nallur in Jaffna and ends in Kataragama. The devotees join this Pada Yathra leaving behind all their belongings carrying only a bundle of essential items. They walk barefoot through the jungles, sleep under trees living in the open and on arriving in Kataragama these devotees perform many acts to fulfill their vows. Today people of all religions visit Kataragama irrespective of their beliefs. 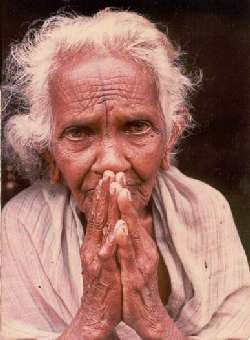 They seek solutions and help for their problems and troubles from God Kataragama. Faith and belief they say can move mountains. And my faith in God Kataragama will remain unshaken.